The financial help provided by PME MTL West-Island with its various grants & loans programs enabled the support of these businesses during the last 6 months of 2018. 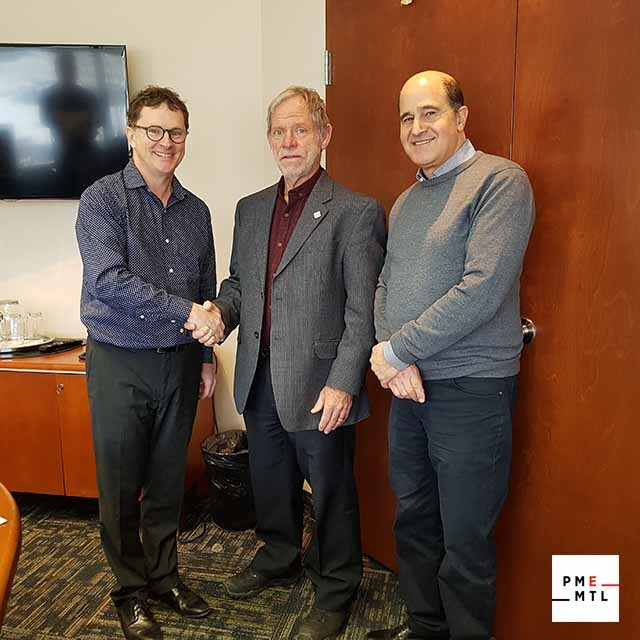 PME MTL West-Island has awarded a loan of $400,000 from the PME MTL fund and the Fonds local de solidarité Montréal (FLS Montréal), to Precimold inc., a company currently situated in Candiac but will be relocating in Baie d’Urfé at the beginning of 2019. Founded in 1966 and later purchased by Jack McDonald in August 2016, Precimold Inc. is a contract manufacturer, custom injection molder, and tool maker that manufactures and supplies precision plastic injection molding products for technical, medical, pharmaceutical, automotive and aeronautical industries applications. 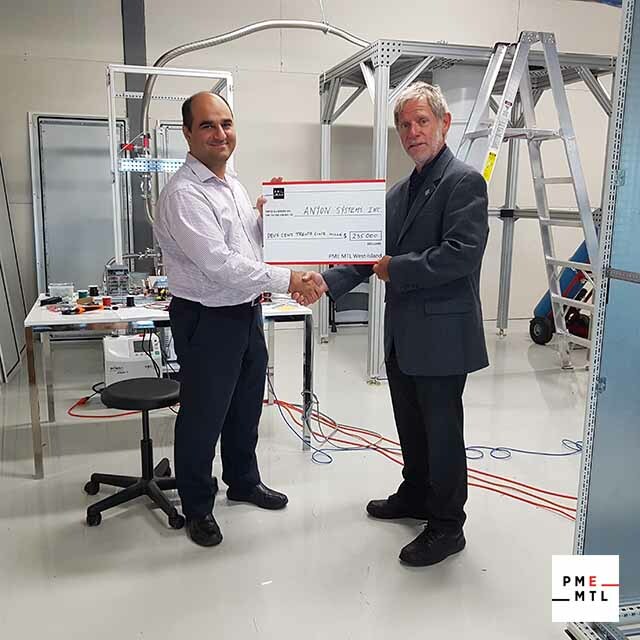 The financial support received by PME MTL West-Island will help Precimold to purchase Kamek Inc, a business situated in Baie d’Urfé and will consolidate all its business activities in the same town. 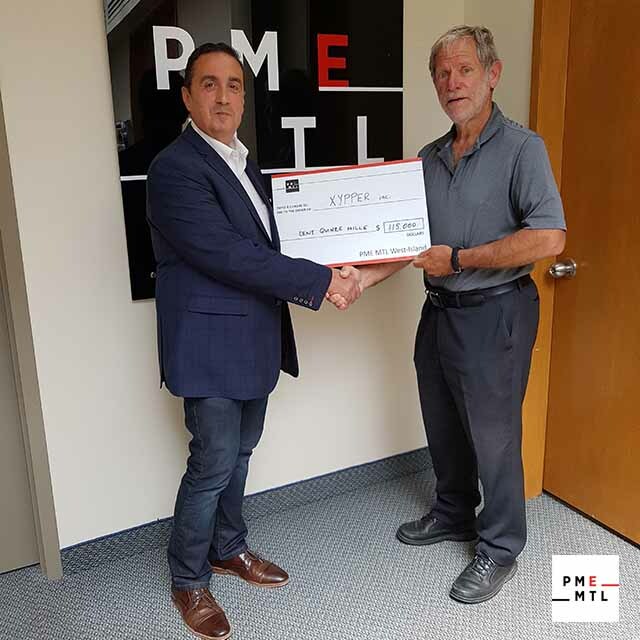 Jack McDonald, President and Owner of Precimold inc., Jean Archambault, Industrial Commissioner at PME MTL West-Island, and Gary Shamandy-Cook, CFO at Precimold inc.
PME MTL West-Island has awarded a loan of $150,000 from the PME MTL fund and the Fonds local de solidarité Montréal (FLS Montréal), to Cemar Electro inc., a company situated in Lachine. Established in 1983, Cemar develops, produces and markets low-powered laser systems primarily in the wood industry. Cemar recently developed a second line of lasers for the medical community, the Patient alignment system, which helps cancer patients align in the CT machines. 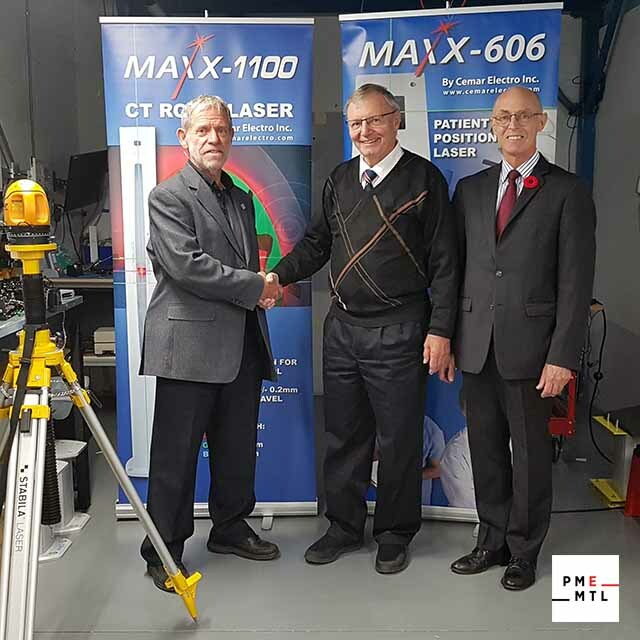 The financial support received by PME MTL West-Island will help Cemar to obtain CE medical marking certification of new medical devices. It will also help in the commercialization of these new industrial and medical systems more rapidly and at a larger scale. PME MTL West-Island is proud to have awarded a loan of $100,000 from the Fonds PME MTL and Fonds local de solidarité Montréal (FLS) and a grant of $15,000 from the Jeunes Entreprises program to XYpper Software inc., a company situated in Île-Bizard on the West Island. Founded in December 2016, XYpper is a software company that has developed and launched an innovative software that will completely transform, modernize and streamline operations for the trucking industry through a system that includes an Uber-like app. The XYpper system is ready for commercialization with already 435 subscribers, of which 373 are truckers and 62 are brokers. This financial aid will accelerate the marketing efforts more aggressively in an industry that is technologically very archaic. It will also support expansion and the acceleration of sales for this business. PME MTL West-Island is proud to have awarded a loan of $220,000 from the Fonds PME MTL and Fonds local de solidarité Montréal (FLS) and a grant of $15,000 from the Jeunes Entreprises program to Anyon Systems inc., a company situated in Dorval. ASI has been working with leading industrial and academic groups in quantum computing to address some of the most recalcitrant challenges in developing large-scale superconducting quantum processors. Read more about their interesting work with Google. This financial aid will accelerate their commercialization efforts as well as support their cash flow and operating and R&D expenses. PME MTL West-Island is a network of experts in economic develop at the service of entrepreneurs and businesses of the West Island. The support of PME MTL West-Island can make a crucial difference at any point in the life cycle of a company, from start-up to mature, international corporation. Numerous funding options are available to help entrepreneurs and businesses carry out their plans be it for start-ups, growing companies and to help maintain jobs in the West Island. PME MTL West-Island supports entrepreneurs and businesses from: Baie-D’Urfé, Beaconsfield, Dollard-des-Ormeaux, Dorval, Kirkland, Lachine, L’Île-Bizard-Sainte-Geneviève, Pointe-Claire, Pierrefonds-Roxboro, Sainte-Anne-de-Bellevue, Senneville.